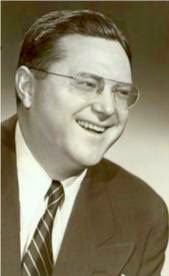 Sam Levenson (1911-1980) was one of the most popular Jewish comedians on television from the 1940s through the 1970s. He was a panelist on The Price is Right, What's My Line, and Password. He had his own show, The Sam Levenson Show, hosted the game show Two For the Money, and appeared on The Ed Sullivan Show 22 times. His Jewishness was apparent from his speech and his stories about his large immigrant family in Brooklyn. It came through most clearly in his recordings of growing up Jewish in New York. There was no YouTube back in 1947 when this 78rpm record was made, so the only motion in this video is the record revolving on the turntable. But we think you'll laugh and enjoy Levenson's story of the Bar Mitzvah Boy. We can't prove it, but we think this may be the origin of the classic "Today I am a fountain pen" joke. There is nothing like Jewish Humor even if it's on a record. How about side B, " The Family Goes to Coney Island"
I have it and plan to run it next week.